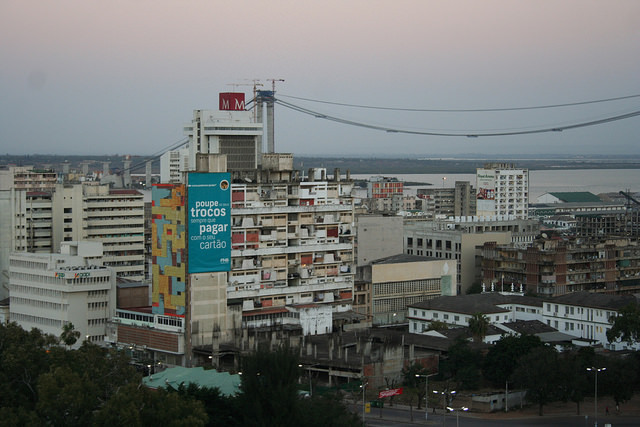 MAPUTO, Aug 17 (IPS) - The rising Maputo-Catembe Bridge is a hard-to-miss addition to Mozambique's shoreline. The 725-million-dollar bridge – billed to be the largest suspension bridge in Africa on its completion in 2018 – represents Mozambique's new investment portfolio and a show of its policy commitment to boosting international trade. Agriculture – defined by the national constitution as the basis of the country's economic development - contributes 25 percent to Mozambique's GDP of nearly 14 billion dollars. Raw aluminium, electricity, prawns, cotton, cashew nuts, sugar, citrus, coconuts and timber are major exports. Policy cohesion facilitates trade development by enabling countries to attract private sector investment at local and international levels, says Jonathan Werner, Coordinator in the Executive Secretariat of the Enhanced Integrated Framework at the WTO. "Creating the policy space for the formulation and implementation of policies in a strategic manner is an absolute priority in creating an enabling environment as Africa talks about regional trade integration," Werner said.